← NACCHO Aboriginal Male Health News : Minister @KenWyattMP will provide $1 million over 2 years to @BushTVMedia @ErnieDingo1 to deliver its Camping On Country program, to address health and wellbeing challenges in a culturally safe and meaningful way. Do you have what it takes to cross the finish line of the world’s biggest marathon? 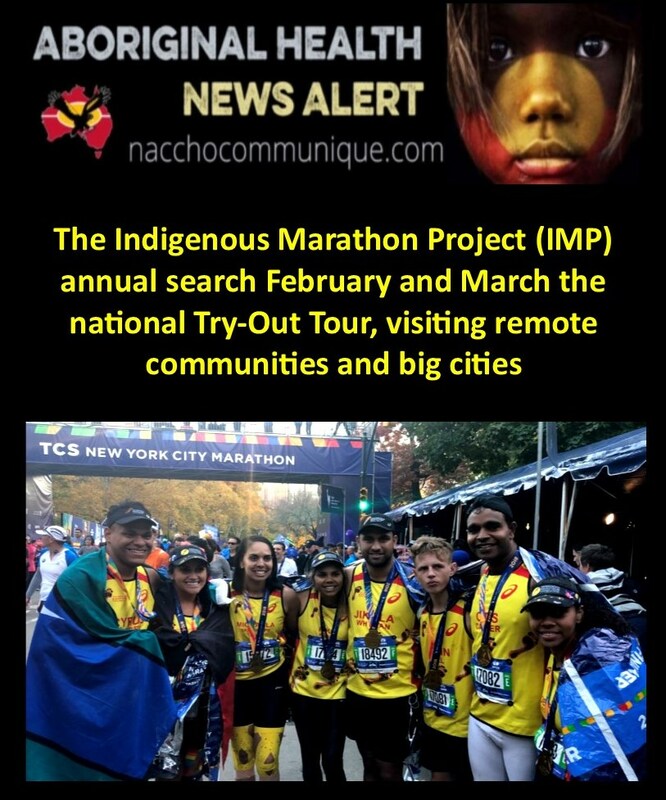 The Indigenous Marathon Project (IMP) has begun its annual search for 12 young Indigenous Australians who are passionate about making a difference. 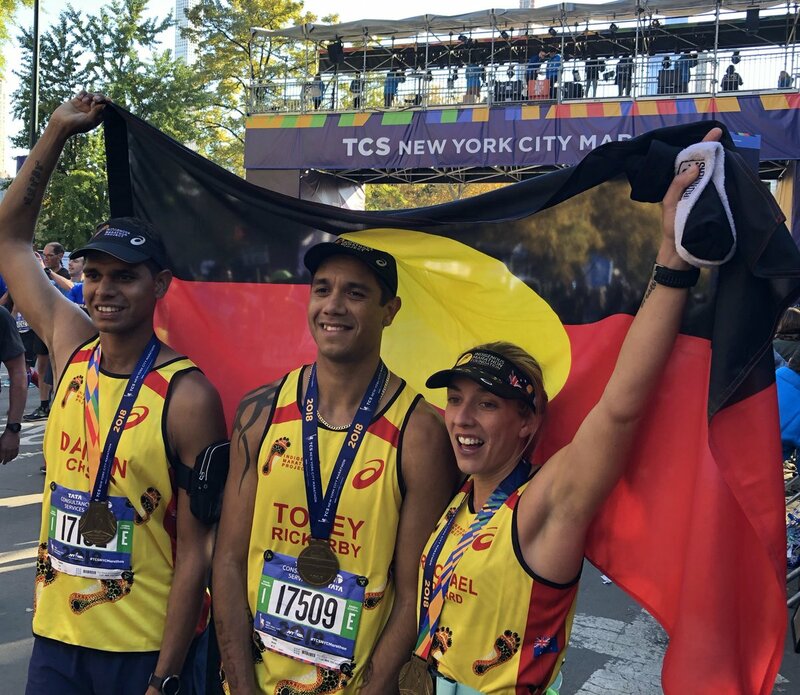 Each year, IMP selects, educates and trains a squad of inspirational Indigenous men and women to compete in the world’s biggest marathon – the New York City Marathon. Open to all Indigenous Australians aged 18 to 30, IMP is not looking for the fastest runner. Instead, those who are passionate about becoming positive role models in their communities, who want to drive change and promote healthy lifestyles, are encouraged to apply. 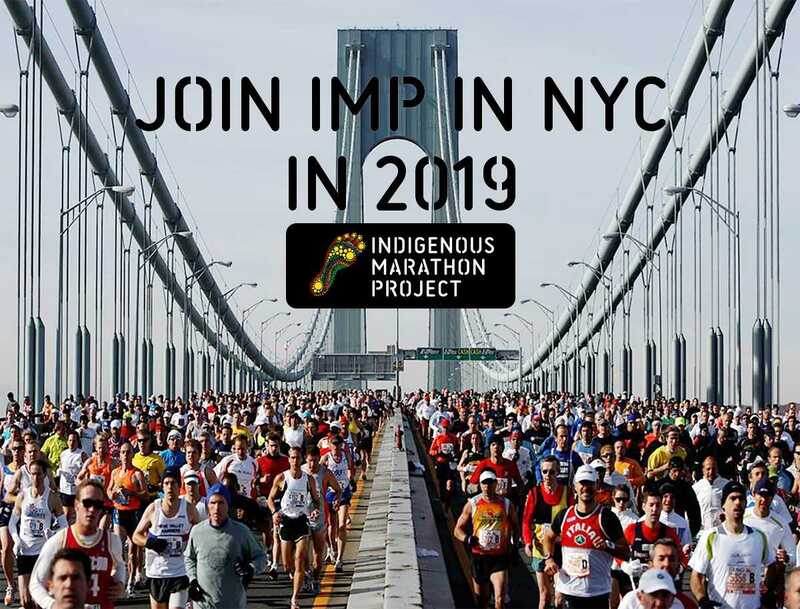 IMP isn’t a sports program; it’s a social change program that uses running as a vehicle to promote the benefits of active and healthy lifestyles, while celebrating Indigenous resilience and achievement. IMP Head Coach and 2014 graduate of the program, Adrian Dodson-Shaw, said that IMP’s reach was growing every year. Mr Dodson-Shaw will set off around Australia in February and March on the national Try-Out Tour, visiting remote communities and big cities, testing the endurance of applicants with a trial run and an interview. 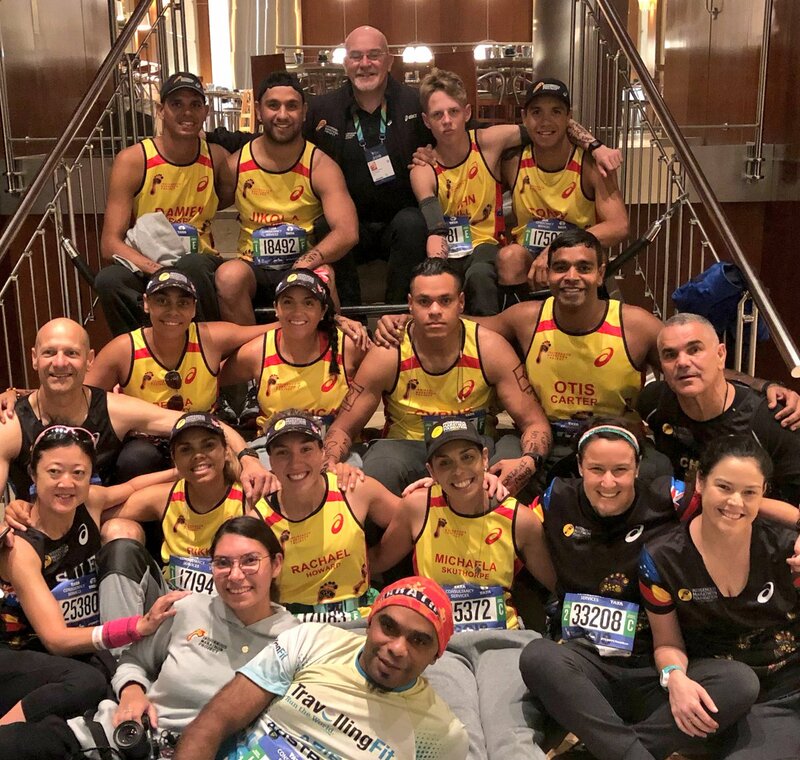 The successful 2019 squad will have to complete four national camps in the lead-up to the NYC Marathon, as well as taking part in the project’s education component, which will see them graduate with a Certificate IV in Sport and Recreation.